That President Muhammadu Buhari has become an enigma of sort in the country is not debatable. Like him or hate him, this man’s genre of politics, pegged on simplicity and integrity, should be a case study to students of political science who are interested in the behavioral patterns of an average Nigerian voter. Buhari is one politician who has de-emphasized money politics yet crowd trail him wherever he goes. Even in supposedly unfriendly turfs, the President gets tumultuous crowd and endorsements even from unlikeliest political quarters. The other day, the President second term bid truncated the solidarity of two powerful tribal groups in the nation’s political calculation. 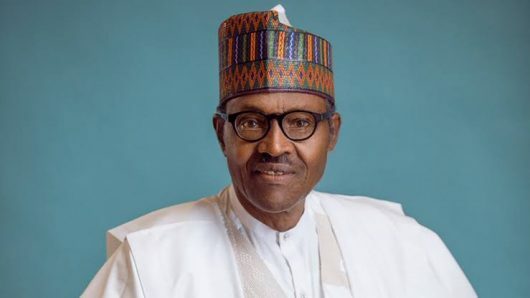 Only recently, a faction of Ohaneze, an Igbo socio-cultural group from the South-east and another faction of the Afenifere, a Yoruba ethnic and socio-cultural group from the South-west, endorsed the President’s second term bid. Abia and Ebonyi traditional rulers endorsed him. Same in Cross River! Not only that, several governors on the platform of the opposition are rumoured to be routing for his re-election bid clandestinely. The show of acceptance of the President, especially in the opposition forte, the South-east, is unbelievable! One gets amazed with the latest development where opposition candidates emblazon their bill boards, placed in conspicuous places, with the President’s image only to squat theirs beside him with the logos of two parties: APC and theirs. Simply odd! This only goes to confirm that most of the position seekers in the country are merely planning to ride on Buhari’s popularity to power. Even though the anointed candidate of Ibikunle Amosun, the Ogun state governor, Adekunle Akinlade, is running on the opposition Allied People’s Movement (APM), he has yet to severe his political umbilical cord from the President. Ditto Rochas Okorocha son in law, Uche Ugwumba Nwosu, running on the platform of AA.